Conner decided that the giant snowman needed a snow dog. You can't beat those creative moments with a stick! :-) Love it! 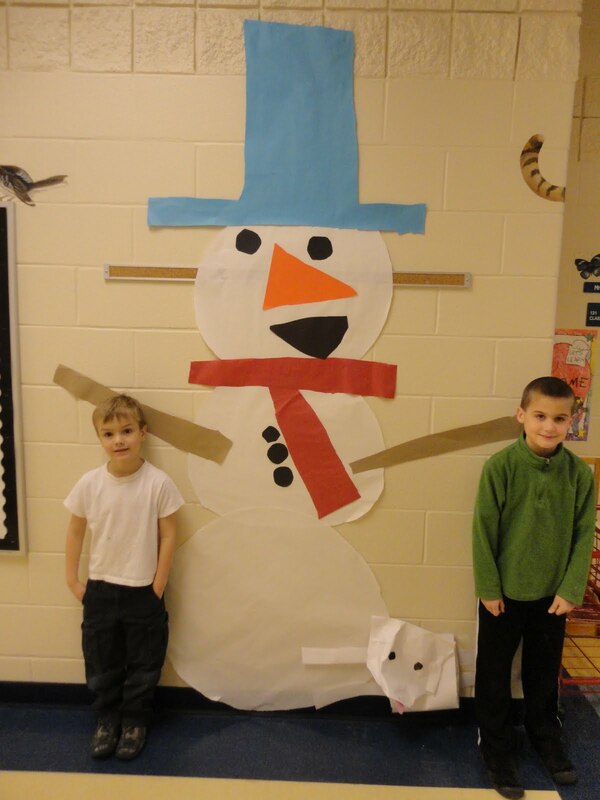 What a wonderful snowman! It is sooo tall!